It was only during my travels in several organic farms in the Philippines that I realized the nutritional benefits of every tablespoon of raw honey. Honey helps soothes irritated throat due to cough. It's a great sweetener for tea, coffee and juices. I usually buy honey from the farmers I met during my trips. Although, there are variety of brands in the market, I'm afraid I might get a bottle that's not pure honey. 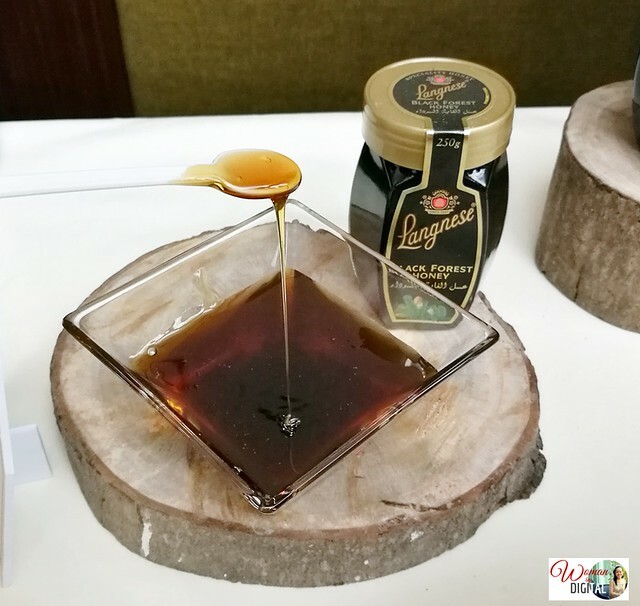 It would be best to buy only from the well-established brand like Langnese, Germany's number one honey. 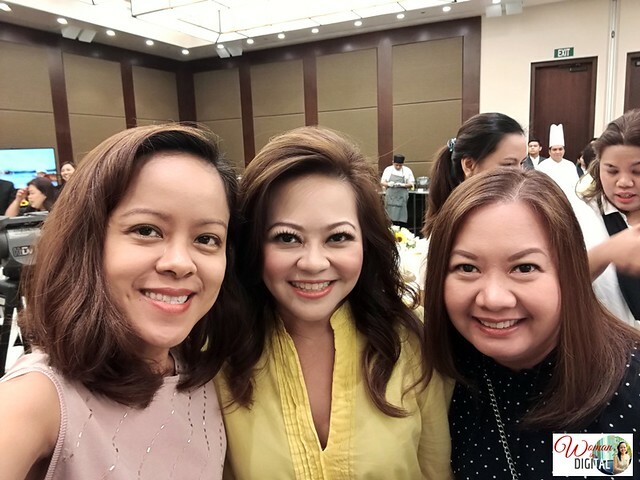 The product was recently launched at Marriott Manila. Available in an easy to pour, featuring a honey dispenser technology famously known as “Bee Easy”, this chic and convenient packaging is also guaranteed no drip and no stickiness in every serving. Langnese honey are available in 250 g and 500 g PET dispensers. Acacia is the ultimate breakfast companion that lends character to teas, cereals, and desserts. Golden Clear on the other hand, offers a sweet antidote to dips, salads, cocktails, and hot drinks, or to just about anything. 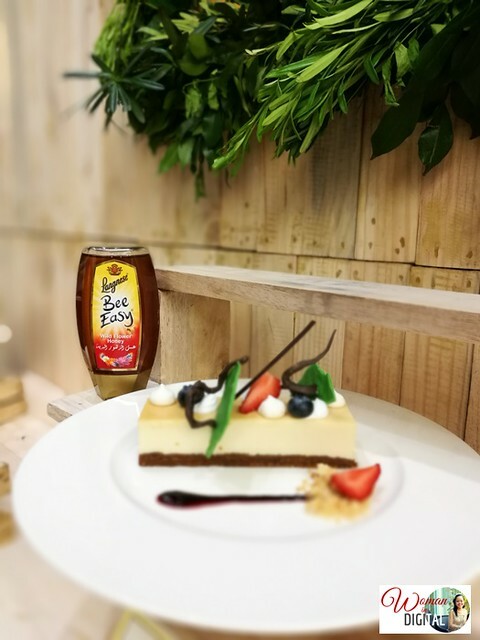 Meanwhile, cooks and foodies can never go wrong with Black Forest. It has a straightforward taste, said to be great for Asian dishes. Wild flower honey is recommended as a healthy sweeter for all types of food and beverage. Lavender is also lovely for sweetening all types of beverages like tea and is a luscious spread on breads. There's Langnese Pure Bee Honey. Honey is considered one of nature’s sweetest gifts from nectar that’s collected by bees and naturally broken into simple sugar. With the constant fanning of the bees’ wings, evaporation takes place in the unique design of the honeycomb that produces the thick, syrupy liquid we now know as honey. Interestingly, the color and flavor of honey is an indicator of its type of flower nectar collected by bees, thus leaves consumers with more flavor options. I'm glad to have Langnese in the Philippines. Thanks to Fly Ace Corporation for bringing this imported honey to the local scene. 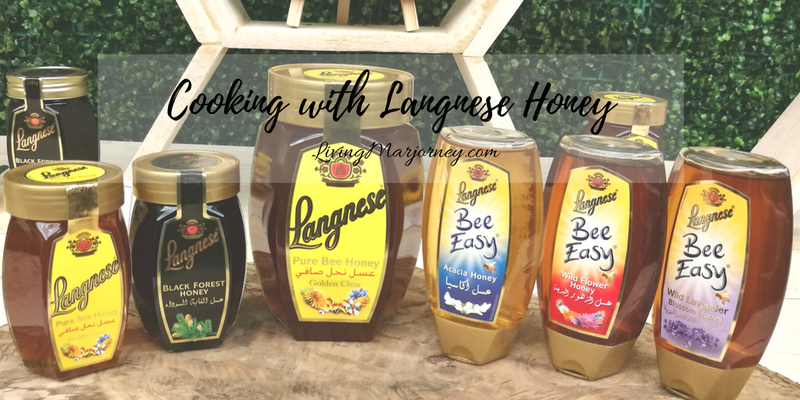 What's great is that Langnese honey are affordable and within the budget. Langnese is now available in supermarkets nationwide. 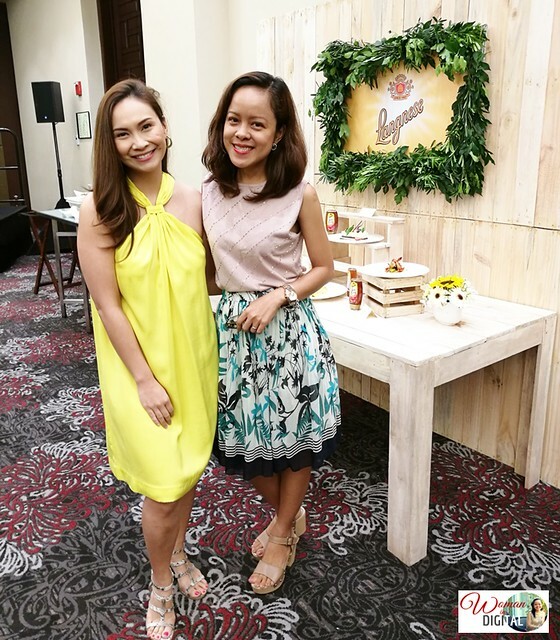 Nutritionist Cheshire Que shared the importance of honey in our diet. 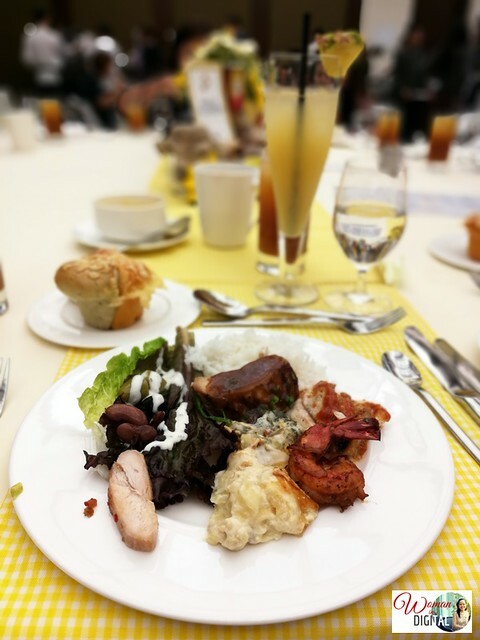 While Marriott Manila's Executive Chef Brammer treated us with a tasty chicken avocado salad. 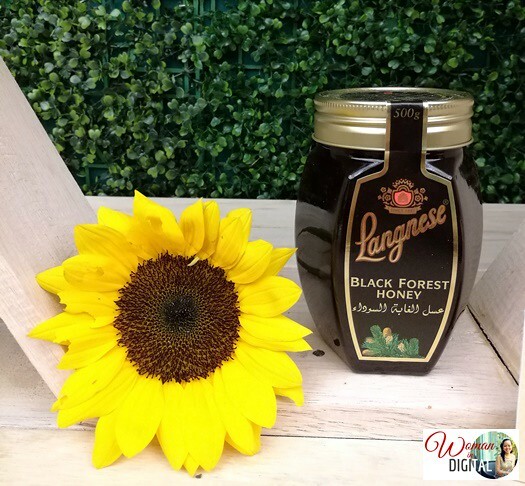 Langnese Honey is a family-owned brand distributed in over 45 countries. This imported honey is known for its purest and most versatile flavors. It's been in the market for a long time and received the seal of approval from Germany’s Honey Ordinance and European Standard Basic Principles that strictly requires the safest and unadulterated quality. It's also recognized by the International Featured Standards (IFS) Kosher, and Halal that are true marks of its reliable source. Langnese is pollen-packed and certified safe too. As promised here's my simple Gindara Fish with Langnese Black Forest Honey. Marinate fish in calamansi juice, Langnese Black Forest Honey and pepper. Sautee garlic and onion in olive oil. Add the marinated fish. Set aside the sauce. After five minutes, add the sauce. Simmer until fish is cooked. You may add freshly sliced onion. I prefer mine slightly overcooked. 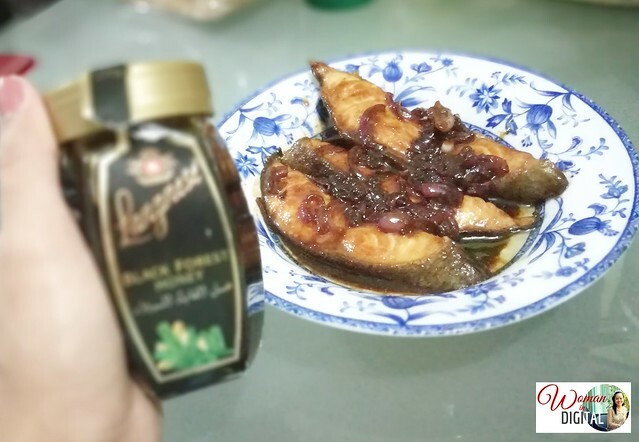 There you go my simple and easy to prepare gindara fish with Langnese Black Forest Honey. I added just a spoon of premium soy sauce to add color to my dish. Langnese black honey added a little sweetness to my dish. It's also great for other Asian dishes so better try it soon. Love the recipe! Too bad I missed the event! Thank you for sharing this Mars!